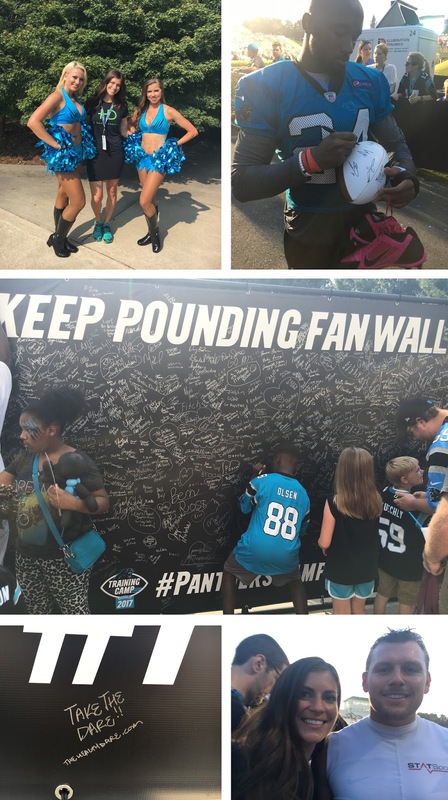 The Health Dare distributed some Vitamin L (love) to the Carolina Panthers team last week, where our coaches were invited to their training camp in Spartanburg, South Carolina! 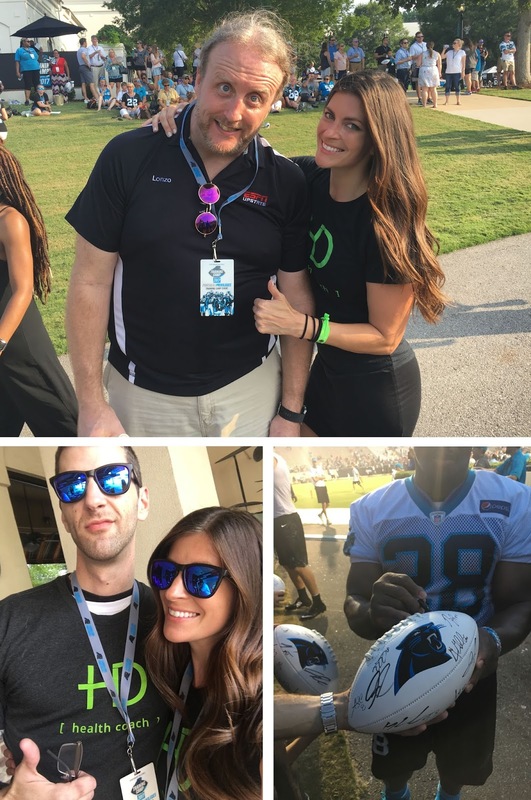 The Health Dare Coaches enjoyed mingling with epic players like Julias Peppers and Jonathan Stewart, and we felt the contagious electricity of the cheerleaders, coaches, and endorsers as they prepared for the new football season. The team even signed a Carolina Panthers football to display in our Charlotte Health Dare office! 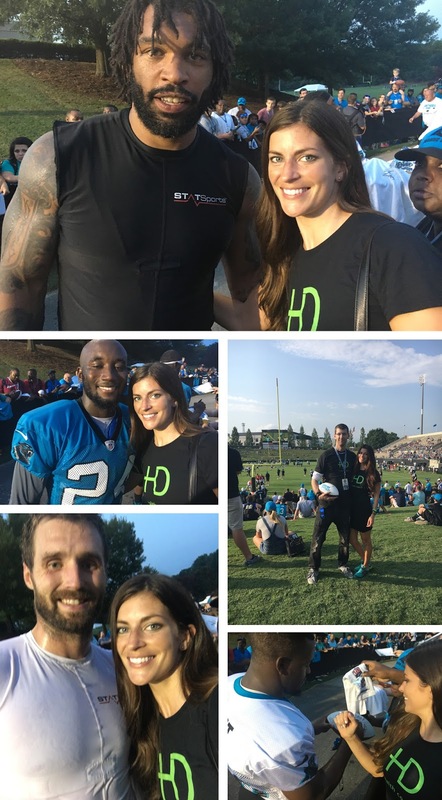 The Health Dare has been transforming symptoms of diabetes, high blood pressure, irritable bowel syndrome, and sleep apnea all over the upstate, and the Carolina Panthers wanted to thank our health coaches for lowering the blood pressure of their beloved spokesperson! Jim Szoke, the Voice of the Carolina Panthers, took The Health Dare. He lowered his blood pressure during his first few weeks on The Health Dare program, and now he just can’t stop talking about it on the radio! As he announces this year’s football stats, he may just announce some stats of his own as he brags about what The Health Dare has done for his medical chart! The average age of the Health Dare client is 54, and the average inches lost is 17 inches in the first 30 days! But don’t take our word for it…just tune in to hear it from Jim. 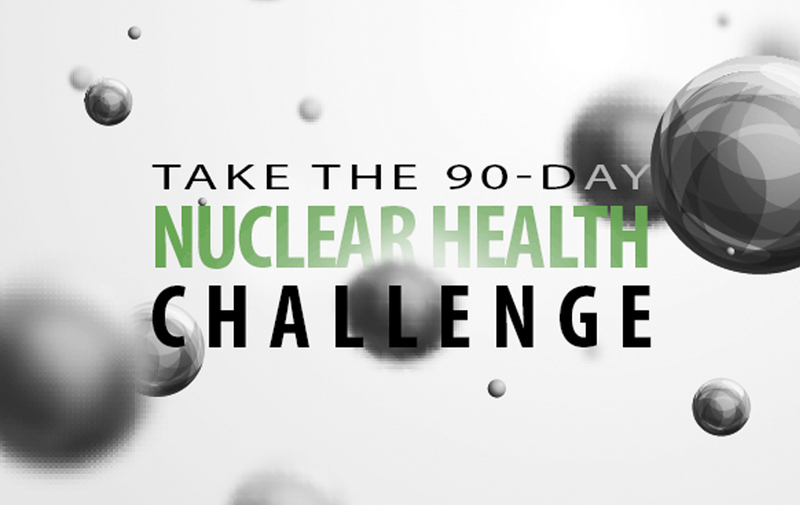 And, of course, our The Health Dare offers a 30-day money back guarantee. Our clients are promised success on this program, or their money back. And don’t forget to “keep pounding” those symptoms of high blood pressure, diabetes, and sleep apnea. You’ll always be a winner when you have control of your health! We dare Charlotte, and we dare you to take the dare! Call now to find out more about how YOU can take The Health Dare!